Implant Retained Prosthesis are the ideal way to replace missing teeth. They will restore your confidence to talk and smile and they will give you the opportunity to eat the foods you like. Loosing one or more teeth starts a chain of events that can have physical and cosmetic consequences. The most obvious result is in your smile: a space plus an overhanging tooth from the opposite arch; less obvious is the loss of chewing function which leads to biggest consequence: bone loss. Your jawbone needs the chewing action of the teeth to stimulate it and keep it strong. Otherwise, it will begin to disappear. Without the support of your teeth and facial bones you face will look prematurely aged. The only proven way to prevent the bone loss after the loss of natural teeth is the Dental Implant. (A bridge, for instance, might give you an attractive appearance and will restore the chewing function but you will still loose bone under it). Today’s modern treatment plans can replace everything from a single missing tooth to a completely missing arch. It is the best solution if you are missing a single or few teeth because is not an intrusive procedure as regards to the adjacent teeth (for example there is no need to prepare the adjacent teeth like we would do in a case of a bridge). If you are missing all teeth on upper or lower arch, we can place a few implants which will support a Permanent Bridge or they can support a Denture. The implant is expected to last for more than 40 years if the body accepts it and if the patient is caring for it properly. What is Implant Retained Prosthesis? on top of the titanium screw and abutment we can place a custom-made Crown or Bridge. This will happen 3-4 months after the implant surgery and once the crown or bridge is fitted you won’t be able to tell it apart from your natural teeth. The titanium screw can be used also to support a partially fixed Denture. It takes a few stages to have a Dental Implant placed. 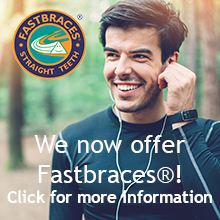 As a time length this will take from 3-9 moths depending on your oral condition. First step is the Surgical Placement of the Implant. This is a surgical procedure and will be performed in the practice under strict sterile conditions. We are able to provide this treatment under Local Anaesthetic or Sedation (Oral or IV). 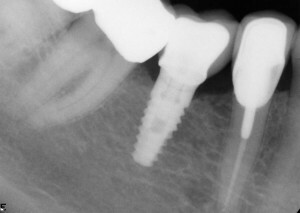 Some patients don’t have sufficient jaw bone for a straight forward placement of the implants. In situations like this we are required to perform a Bone Expansion, Bone Grafting or Sinus Lift procedure before the implants are placed. Some additional short appointments to the surgery are needed for suture removal, exposing of the implants, etc. 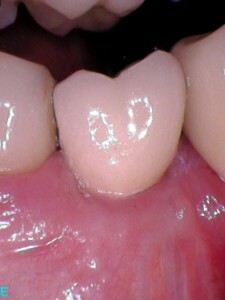 Who is suitable for an Implant placement? The vast majority of people are suitable for implant treatment but before we go on with the treatment we normally require some laboratory tests in order to ensure a smooth process of the Implant Surgery and an uneventful healing. In many cases a computer tomography (CT Scan) is needed to evaluate the bone and to localize the nerves. Anta, our Dental Implant Surgeon, has over 10 years experience in providing dental implants. She is a member of the Association of the Dental Implantology and has followed extensive courses on this subject throughout Europe and continued her academic development with the very latest advanced courses from the Oxford Society of Dental Implantology having finalized the two years with the Certificate of Oral Implantology and Prostethics and Advanced Implant and Bone Graft Surgery. At Highcliffe Dental Care we have two different implant systems that we use and can offer to our patients. One of them is called Biohorizons Implants which are provided by the American Company. This is one of the biggest and most popular UK registered Implant Systems (they are registered with the ISO 13485:2003, the international quality system standard for medical devices and are cleared for sale in the EU under the EU Medical Device Directive 93/42/EEC). Biohoriznons is a well established USA company with lots of research and world- wide distributors. The other system is called Champions Implants. They are comparably smaller and fairly newer implant system, made in Germany(they are registered with the EN ISO 13485:2003 + AC: 2009 Champions- Implants GmbH, Annex II excluding Section 4 ofCouncil Directive 93/42/EEC concerning medical devices with respect to the folllowing medical devices: Dental Implant Systems according to annex). There is less research behind it, however with more affordable prices and an amazing concept behind their system –patient friendly MIMI-flapless implantation method (Minimally Invasive Method of Implantation), which means that we can place implants very often flapless, which is less traumatic. 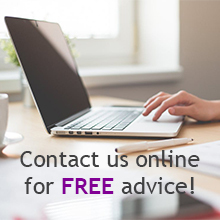 If you would like to arrange a consultation with Anta to discuss how dental implants can improve your smile and oral condition, please contact us on 01425 277770 to arrange an appointement.